Oakwater resort - Enjoy this brand new resort featuring luxury 2 and 3 bed condominiums. This contemporary themed resort community offers 5 distinctive designs, each well appointed with luxurious features and very spacious. Oakwater resort offers a family-friendly atmosphere and recreational activities to suit all ages. Oakwater Resort Orlando is located only 10 minutes from Disney, making it one of the closest resorts to the Disney parks, with SeaWorld, Universal Studios and the Orlando Convention Center only a short drive away. For golf lovers the Mystic Dunes Golf Club is also located conveniently close to the resort. Condo convenience. Resort lifestyle. Ideal location. 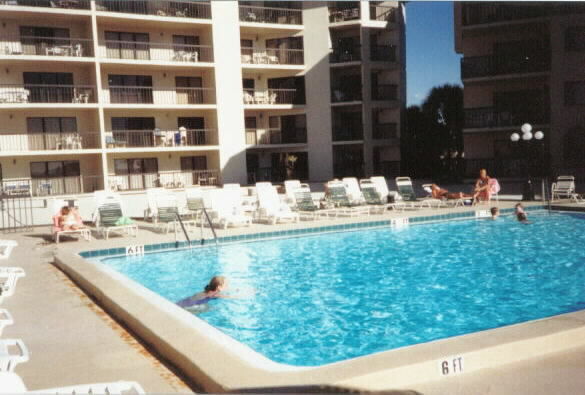 It all adds up to a perfect vacation in the heart of Florida. Each condo at the Oakwater Resort features a master suite with king or queen size bed, TV and a master bathroom having a garden tub and separate shower. Each has a fully equipped kitchen with breakfast area and formal dining area, TV, VCR or DVD player and a washer and dryer. Some condos are available with game rooms that include billiards, table tennis and air hockey along with play stations for kids. In addition, many of our homes offer Free Long-Distance Calls and many of our homes offer High Speed Internet. The 2 bed condo comfortably accommodates up to 6 people, with the 3 bed condo accommodating up to 8. For this or any of our other Villa's / Apartment packages email us our Enquire Now form for an instant quote! 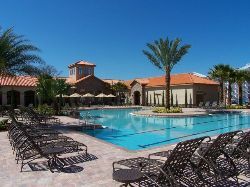 Oakwater resorts clubhouse features a large lagoon-style community pool, tennis courts, volleyball courts, State-of-the-art fitness center, children's playground where your children can play safely, hot tub and a 4,000 sq. ft. clubhouse. Baby-sitting services so you can have a night out with the adults at one of the many Orlando night-spots including Disney's Pleasure Island. The resort also has some lovely restaurants, Bob Evans restaurant perfect for a nice meal out and the International House of Pancakes will keep you coming back for more. 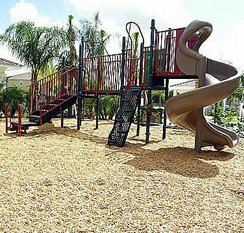 A family-friendly atmosphere and a variety of recreational activities to suit all ages. 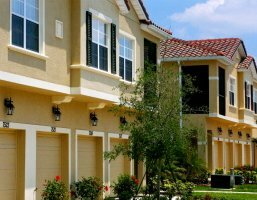 Oakwater Resort in Orlando is conveniently located near Mystic Dunes Golf Club. Mystic Dunes has become very popular within the golfing community. The club boasts an expansive driving range, exquisite clubhouse and the GPS Parkview system on all carts. Florida Golf Guide rates Mystic Dunes as one of the top 5 Orlando Golf Courses. Whether you are planning a golf trip with a group of friends or would like to play golf, while your family enjoys the fabulous resort amenities.